Brandon Giessmann is a Canadian visual artist and writer who explores how trauma, gender, and sexuality intersect in response to notions of identity and its related politics. 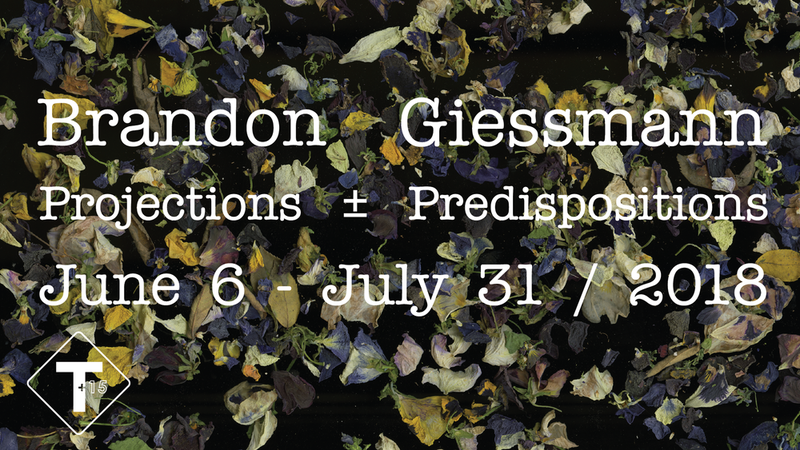 Giessmann is interested in codifying and veiling information to consider how his projects interact with one another, the spaces they inhabit, and how reusing materials can inform present and future work. Installations and performances become vessels for conversation and reflection, where he addresses his own trauma, the process of healing, and his fear of social and institutional repercussion as a gay man. These thoughts are translated into various collections of critical text, creative writing, and visual art that help him understand his own positions and feelings regarding these often confusing topics and the disorientation he continues to experience due to his privileges as a cisgender white male recovering from past sexual assault and abuse. Brandon Giessmann is a recent BFA graduate from the Alberta College of Art + Design and is a University at Buffalo MFA candidate. Projections ± Predispositions considers the parallels between exclusion from public and private spaces, through the dual lenses of marginalization and trauma, which work to sever confidence in safety and bodily autonomy. Soil from past installations creates a bed, a place for potential growth, reflection, and rest, while a distressed sheet evokes intimacies between those who have been, are, and will be. The surrounding pansies are disrupted by barbed wire, violent boundaries demanding exile, submission, and observation. As the flowers wilt due to a lack of care, the wire makes its presence increasingly known, holding up the plants as examples of what is to come as these structures remain. 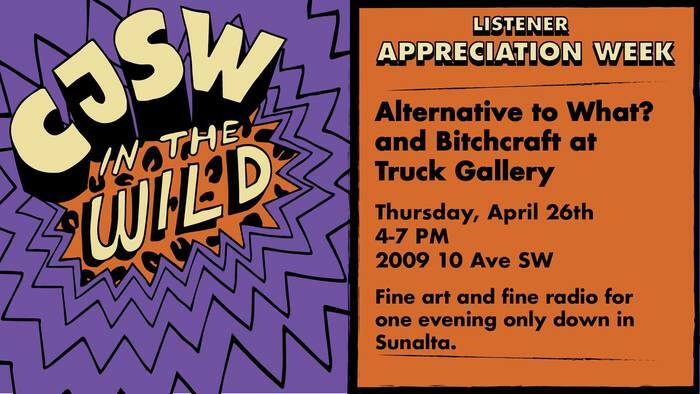 Join us on April 26 from 4PM – 7PM as we host an on-site broadcast with CJSW as part of their Listener Appreciation Week. Join Hayley as she brews a potent concoction of femme-forward tunes. KUSAMA - INFINITY explores artist Yayoi Kusama’s journey from a conservative upbringing in Japan to her brush with fame in America during the 1960s. As a Japanese woman attempting to permeate the white, male-dominated art scene of New York, Kusama was very much an outsider. Her fierce determination and artistry was often overlooked by the press during her formative years even though her work rivalled — and arguably influenced — that of Andy Warhol. Many years later Kusama’s work is finally commanding the attention it deserves. Passionate about documentaries and biography films, Heather Lenz is a short film director and researcher. Since earning her MFA in Cinematic Arts from USC, Lenz has worked on film and television projects in various roles including as a researcher and producer on programs for The History Channel, Food Network and PBS. Join us on March 10 from 7PM – 11PM for LET'S STAY IN TOUCH, a silent-auction fundraiser including postcard-sized artwork donated by local, national, and international artists. LET'S STAY IN TOUCH will develop crucial funds for our public programming budget with revenue going directly towards presenting contemporary artists from across Canada and internationally. PLUS we'll have a special framing deal with Kyle Beal Art Servicesavailable for your newly purchased artwork.